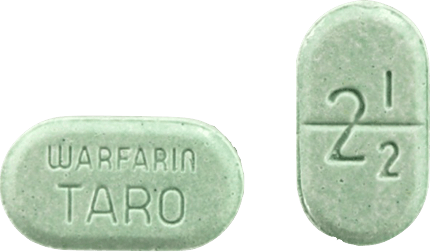 Warfarin (brand name Coumadin) is one of the original anticoagulant medications, also referred to as blood thinners. They are used to prevent strokes and other serious complications. The drugs require regular blood testing and frequent dosage adjustments. They are also linked to increased bleeding risks, which can sometimes be fatal. Warfarin (Coumadin) is an anticoagulant (blood thinner) that has been on the U.S. market for over six decades since its initial approval by the U.S. Food and Drug Administration (FDA) in 1954. Warfarin prevents blood clots. 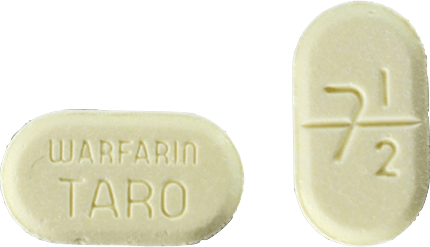 The drug is also used to prevent strokes in patients with atrial fibrillation (AF or AFib) (a condition resulting in an irregular heart rate). An estimated 2.6 million individuals suffer from AF in the U.S. That’s predicted to jump to 12 million by 2050. This drug has a black box warning for bleeding. Users must regularly test their International Normalized Ratio (INR), a blood-clotting measurement. The tests help determine dosage. Any changes to diet, the starting or stopping of other drugs, or certain lifestyle choices, such as alcohol intake or cigarette smoking, can all alter a patient’s INR. Warfarin fights blood clots. It prevents clots from forming in blood and blood vessels. The drug treats certain types of irregular heartbeats. It is also used in patients who have suffered a heart attack or have prosthetic heart valves. Coumadin is used to prevent and treat venous thrombosis (a blood clot in a vein), as well as a related condition, pulmonary embolism. A pulmonary embolism happens when part of a blood clot breaks away and becomes lodged in an artery supplying blood to the lungs. 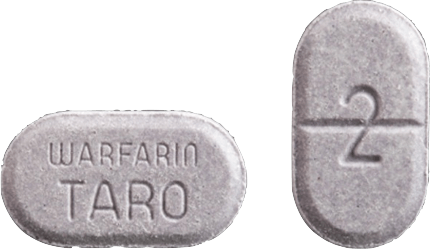 Warfarin is also used to prevent and treat strokes associated with atrial fibrillation (AF or AFib). AF is the most common heart-rhythm abnormality, according to the FDA. The condition is characterized by an irregular and often rapid heart rate that can increase a patient’s risk of suffering from stroke among other serious and sometimes deadly conditions, such as heart failure and other heart-related complications. Coumadin may also be prescribed to reduce the risk of death from heart attacks and thromboembolic events, such as stroke or system embolization (a blocked artery often caused by a blood clot) after a heart attack. Coumadin contains a black box warning for bleeding risks. Since the drug is designed to prevent blood from clotting, it can also take longer than usual for patients to stop bleeding if they are cut or injured. Bleeding linked to Coumadin-use can also result in increased menstrual flow or vaginal bleeding in women, nosebleeds and bleeding of the gums from teeth brushing. The drug label advises patients to report any unusual bleeding, bruising or other signs and symptoms of internal bleeding, such as headache, dizziness or weakness to their health care provider. Additionally, health care providers are urged by the warning label to perform regular monitoring of INR and PT levels for patients treated with Coumadin. Aside from bleeding, Coumadin-use is associated with several other side effects. These side effects can range from mild adverse reactions, such as nausea or abdominal pain, to serious complications, such as calciphylaxis (calcium build-up in small blood vessels of the fat and skin tissues) and tissue necrosis (death of body tissue). The drug works by slowing down the blood-clotting process. Clots form through chemical reactions involving various substances, including vitamin K. The drug weakens Vitamin K. That prolongs the time it takes to form clots. The drug does not dissolve or break down blood clots. It can, however, assist in the maintenance of an existing clot to allow the body time to try to break it down on its own. International Normalized Ratio (INR) and Prothrombin Time (PT) are laboratory test values obtained from measurements of the time it takes blood to clot. 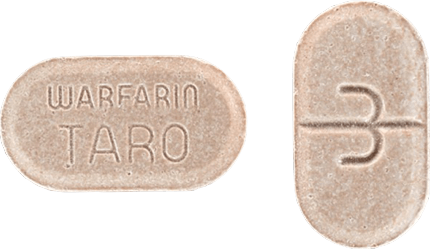 When patients are prescribed warfarin (Coumadin), they are required to undergo regular testing, usually once a month, to make sure INR and PT measurements stay within the desired testing range. Vitamin K intake can affect the INR/PT measurement as well as the effectiveness of the drug. 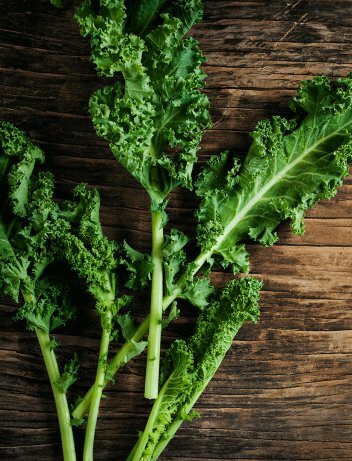 The National Institutes of Health (NIH) recommends that patients keep vitamin K intake “as consistent as possible.” Sudden increases of vitamin K may decrease Coumadin’s effect while lowering vitamin K intake can increase the effect of the medication. One way to keep vitamin K intake consistent is to not make too many dietary changes, or modifications in food choices, and to carefully consider any dietary supplements or herbal products. Since dosing is dependent on each patient’s INR measurements, patients should not entirely stop eating vitamin K-rich foods that they normally eat, nor should they suddenly add foods or supplements rich in vitamin K to their normal daily diets. 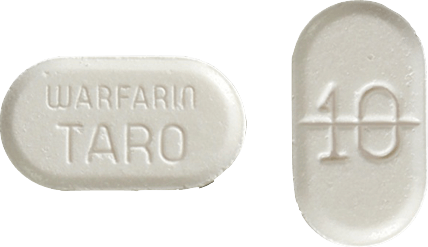 Warfarin (Coumadin) comes in a tablet form to be taken by mouth. The tablets are available in several different strengths. Health providers will likely start patients on a lower dose and gradually increase or decrease the dose based on results of blood tests. 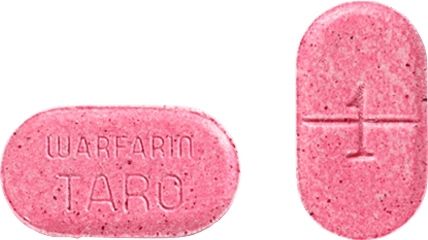 Drug labeling for warfarin advises patients not to stop taking the medication without first talking to their doctor. The dosage and administration of Coumadin is individualized for each patient according to their blood tests and conditions. Lower initial doses are recommended for patients who are elderly, weakened or of Asian descent. Duration of treatment will also vary from one patient to the next with therapy generally being continued until the danger of blood clotting or embolism has passed. Certain dental or surgical procedures may require a temporary interruption or change in warfarin (Coumadin) treatment due to bleeding risks. The primary concern with overdosage in patients taking Coumadin is the risk for bleeding. Taking too much of the anticoagulant can result in several signs and symptoms that a dose adjustment is needed. Many of these symptoms can signal life-threatening bleeding and require immediate medical intervention. Treatment of overdose is based on the patient’s INR levels, the presence or absence of bleeding and other clinical circumstances. Reversal of the medication’s effects may be achieved by discontinuing the drug and administering vitamin K.
Certain drugs, and even herbal or dietary supplements, can interact with Coumadin. Additionally, more frequent blood monitoring is needed when a patient starts or stops other drugs, including supplements, or when dosages of other drugs are changed. Certain drugs, such as those belonging to the class of inhibitors of CYP2C9, 1A2 and/or 3A4 (certain enzymes found in the body), also have the ability to increase the effectiveness of Coumadin. These medications include certain antifungals, decongestants, Xanax and caffeine. Other substances may have the opposite effect on Coumadin. These include certain anti-seizure drugs, antibiotics, sleep-disorder medicines and cigarettes. These medications can include certain painkillers, such as aspirin and nonsteroidal anti-inflammatory drugs (NSAIDs) like ibuprofen, as well as serotonin reuptake inhibitors (SRIs) used to treat depression and anxiety disorders. Evidence suggests that vitamin E has blood-thinning effects. Aside from vitamin E, several other dietary supplements and herbal medications can alter a patient’s INR/PT levels. Some antibiotics can either lower vitamin K levels in the body or interfere with the effectiveness of warfarin (Coumadin). There have been reports of changes in INR in patients taking warfarin and certain antibiotics or antifungals, according to drug labeling for Coumadin. 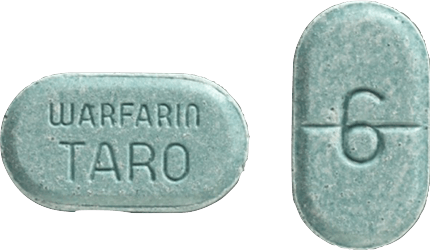 Alcohol can affect dosing of warfarin (Coumadin). It is best to avoid alcohol while taking Coumadin.